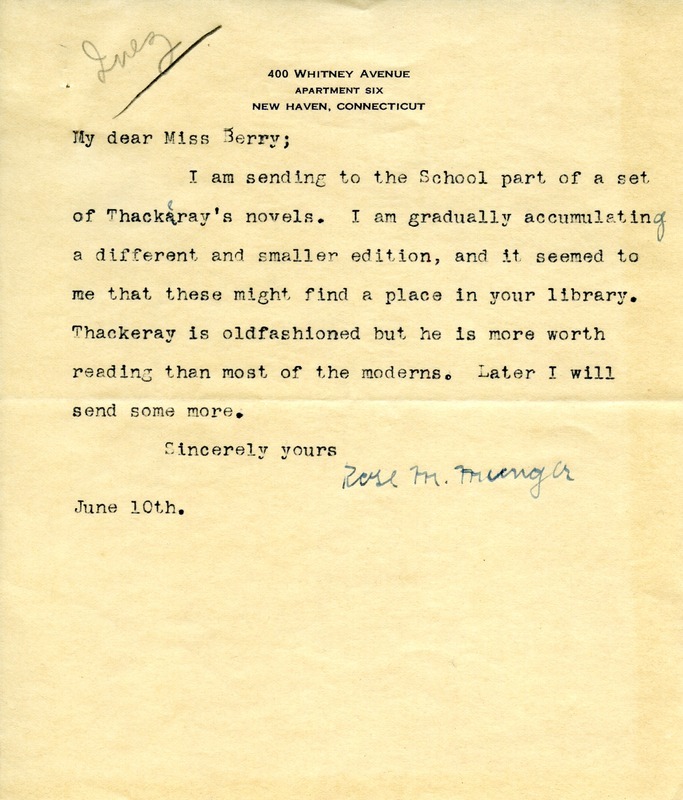 Rose M. Manger sends part of Thackeray's novels to the Berry Schools. Rose M. Munger, “Letter to Martha Berry from Rose M. Munger.” Martha Berry Digital Archive. Eds. Schlitz, Stephanie A., Jessica Hornbuckle, Aaron Jackson, Kelli Kramer, Chelsea Risley, et al. Mount Berry: Berry College, 2014. accessed April 20, 2019, https://mbda.berry.edu/items/show/13507.